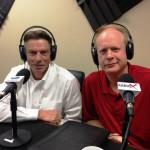 ATLANTA, GA--(Marketwired - July 21, 2015) - On June 3, 2015, Silver Lining in the Cloud welcomed to the studio Harm Scheffer and Chris Abbey with Reliant Building Solutions. Host Nikole Toptas spoke with these guests about Reliant's service to both residential and commercial customers as a specialty contractor. Reliant Building Solutions designs and executes engineered repairs for the structural components of buildings. They provide services to a variety of facility types including: Office Buildings, Parking Garages, Water Treatment Facilities, Industrial/Manufacturing Plants, Condominium/Apartment Buildings, and more. As President of Reliant, Harm Scheffer provides great value to his company. "One of our biggest strengths is our President," said VP Chris Abbey. "Harm's an engineer and approaches all our projects from a structural engineering background." Reliant's company leadership set out to create a firm which would place clients' needs first and foremost. According to Scheffer, "With every job we do, we try to do something extra for the customer rather than just doing what we've contracted for." Expanding on the discussion of customer service, Abbey added, "Our company is structured so we can respond quickly to whatever a client may need." To learn more about the services provided by Reliant Building Solutions, listen to this entire interview on Silver Lining in the Cloud. Silver Lining in the Cloud is presented by Computer Design and Integration. Silver Lining in the Cloud is an open forum show that highlights and promotes many of Atlanta's top businesses and business leaders. Guests hone in on what is the silver lining that their business offers to the community, how they are making a difference and celebrating their success.The show airs on Wednesdays at 10:00 a.m. Eastern and is co-hosted by Nikole Smith-Toptas and Dominick Rainey.